Cocktail Corner: MOM-osas for Mother’s Day! 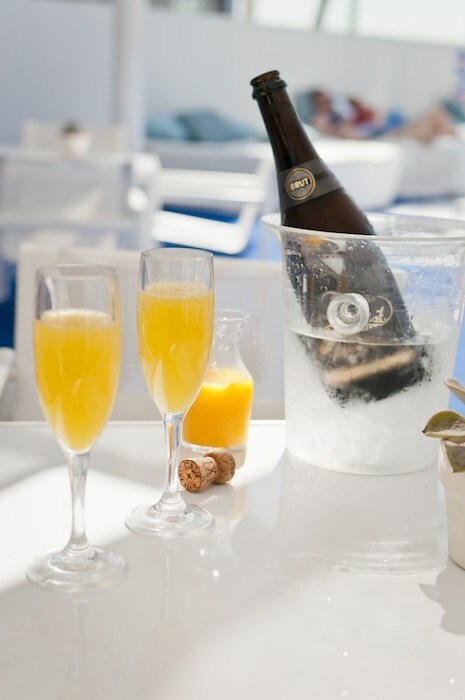 Photo vxla on Flickr: Pool-side Mimosas at The Standard Hotel, CC BY 2.0, courtesy Wikipedia Commons. It’s Mother’s Day weekend, which is the perfect time to indulge in Mimosas. 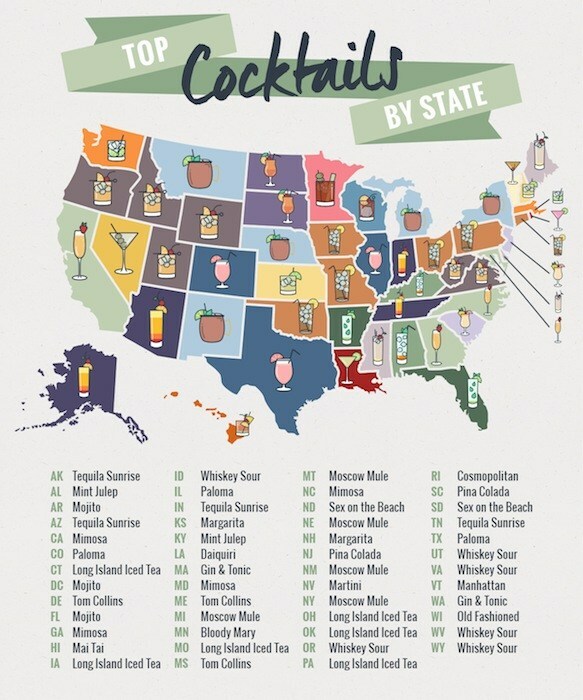 According to new research from Versus Reviews, Mimosas are actually the most popular cocktail in California, as well as in Georgia, North Carolina and Maryland. It must be a coastal thing! Traditional Mimosas are believed to have been invented at the Hotel Ritz Paris around 1925, and are probably named for their resemblance to the yellow flowers with the same name. They’re made with one part Champagne and one part orange juice and served in a Champagne flute, often at brunch. Image and data source: Versus Reviews. The Buck’s Fizz, which has twice as much Champagne as orange juice! Daphne Oz‘s “Perfect Momosa Recipe” from The Chew, which adds elderflower liquor to the mix and substitutes Prosecco or another sparkling wine for the Champagne. The Poinsettia switches the orange juice for cranberry juice, mixed with Champagne. DrinkoftheWeek.com’s tasty MOMosa variation skips the OJ and mixes Frangelico Hazelnut Liqueur and passion fruit juice with Champagne. 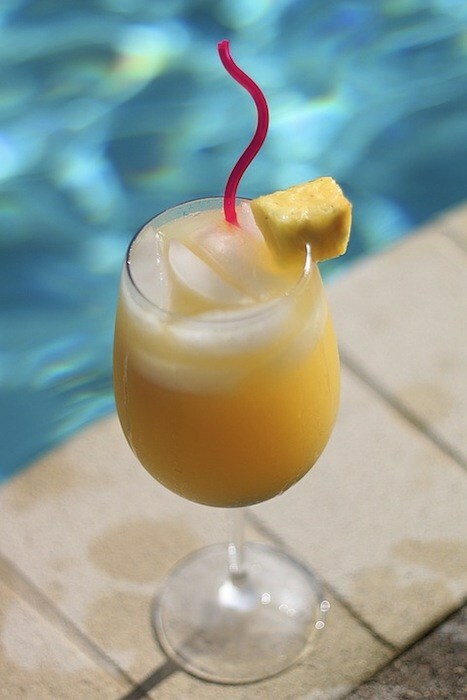 The Megmosa is equal parts Champagne and grapefruit juice, while pineapple juice and Champagne is called a Soleil. Summer Mimosa, likely a Soilel variation, photo by waros, pixabay.com. Our friends at Seagram’s Escapes also have a fun “Momosa” recipe, which uses sparkling wine and their Wild Berry flavored drink. Whatever you toast your mom with this weekend, make it a good one! Cheers! Click here for more cocktail corner columns. Originally published in Santa Barbara Seasons on May 11, 2018. Stolen Fruit Mixers, courtesy photo. Winemakers have traditionally seduced delicious tastes from the vineyard and chefs blend verjus—the fresh pressed juice from green grapes, varietal grape juice, and grape skins—to bring flavor to the forefront of their creations. Now these same techniques have been used to craft a fun, new line of grape-based mixers: adding the nuance and complexity of wine grapes to a range of cocktails and mocktails. Using the fresh pressed juice of grapes dropped during thinning and dried wine grape skins, Sonoma-based Stolen Fruit takes what is normally discarded from the winemaking process to create the base for each mixer. Then the concentrated natural juice of a specific grape varietal such as Sauvignon Blanc, Viognier or Grenache, is blended in along with complimentary fruit and botanicals to build a layered, balanced drink base. The flavors include: Lemongrass Ginger Sauvignon Blanc, Jasmine Juniper Viognier, Hibiscus Grenache (my favorite), Blood Orange Muscat and Fig Grains of Paradise Zin. We tried them out last weekend and they’re delicious, with or with the booze! Mix them with sparkling water or club soda or lemonade for a non-alcoholic drink that still feels fun and festive. 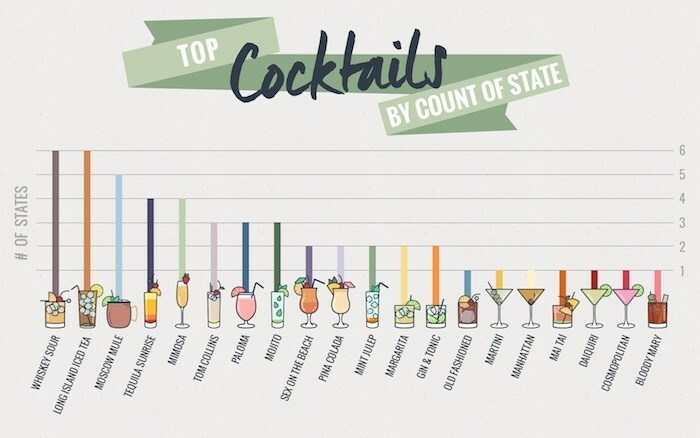 Add in sparkling wine and/or your favorite spirit and you have a terrific cocktail. We tried Stolen Fruit with Pisco, Rye, Vodka and Prosecco. I liked them all, as well as in combination with Jardesca, a refreshing wine-based aperitif. Created by Dry Creek Valley AVA grape growers Doug and Susan Provisor, owners of Provisor Vineyards, and Healdsburg-based Chef Peter Brown, these versatile mixers are a great addition to your home bar, as well as nice gift for your host. Stolen Fruit Cocktail Mixers ($18) are initially available for purchase online at stolenfruit.com, which also has recipes for cocktails, mocktails and food pairings, as well as on Amazon. Check them out and let me know what you think. Originally published in Santa Barbara Seasons Magazine on July 15, 2016. It’s tough to improve upon the spectacular ocean and mountain views from the terrace at Belmond El Encanto, but the amazing Bottomless Bellini Brunch—available Sundays from 11 a.m.–2 p.m.—adds a delicious bubbly kick to what is already an embarrassment of riches. This brunch is a perfect way to treat that special someone to a meal they won’t forget. The Bottomless Bellini and a view from the Terrace at Belmond El Encanto. Photo by Leslie Dinaberg. The Bellini, a sparkling beverage of Prosecco and peach puree or nectar, was first created at Belmond El Encanto’s sister property Belmond Hotel Cipriani in Venice, Italy, and Chef Leo Andres Ayala does the tradition proud. The brunch includes a nice assortment of locally-sourced dishes, starting with an array of appetizers served family style, including Ahi Tuna Salad, Chilled Prawns, Smoked Duck, Smoked Salmon, Marinated Berries and Charred Vegetable Salad. The meal is luxurious on its own, but its even more of a treat to have the dishes brought to you at the table, rather than having to serve yourself. Family style appetizers at Belmond El Encanto. Photo by Leslie Dinaberg. The feast seems to be never-ending as the Belllinis continue to flow and you choose from a tasty list of entree selections, including Brioche French Toast, Eggs Benedict, Steak and Eggs, Buttermilk Pancakes, Lobster Fritatta, Duck Confit Chilaquiles, Santa Barbara Seafood Cioppino, Roasted Salmon, Crispy Seared Branzino, Veal Scallopini, Roasted Jidori Chicken Breast, Seared Rare Ahi Tuna Sandwich or a Classic Cobb Salad. It’s hard to go wrong! Eggs Benedict at Belmond El Encanto. Photo by Leslie Dinaberg. We hope you saved room for something sweet. Complementing the meal, guests are invited to The Wine Room where a gorgeous selection of house-made desserts from Pastry Chef Aaron Lesch awaits. Don’t worry … you can pick more than one! The Bellini Brunch is $75 per adult and $35 per child (12 years and younger). Belmond El Encanto is located at 800 Alvarado Pl. For more information or reservations call 805/770-­3530 or visit elencanto.com. Originally published in Santa Barbara Seasons on September 19, 2014. Just thinking about bubbles makes me smile: bubble baths, Wonder Bubbles, Bubble Up, Champagne and more recently, Prosecco. I had my first taste of Prosecco just a few years ago, when a friend brought a bottle of Mionetto IL Prosecco to accompany our sushi at one of the summer concerts at El Capitan Canyon. It was delicious, bubbly and tasted good with potato chips too. Unlike many wines, Prosecco is designed to be consumed when it’s young, and the majority of Prosecco is meant to be light and fresh on the palate. Most of it is produced using the less time-consuming Charmat method (refermentation of the base wine in pressurized tanks, as opposed to bottles) and the taste just keeps getting better. I recently tried a bottle of OGIO Prosecco DOC, which was delicious, light and not overwhelmingly sweet, with fruity notes of peach and green apple. As the company describes it, “an approachable, friendly and easy-to-drink wine for those who want to have a conversation over a glass of wine, not about a glass of wine!” That pretty much fits the bill for me. Martha Stewart’s Prosecco Cocktail has Angostura bitters, a liqueur infused with herbs, roots, and bark, and Ruffino Prosecco has an interesting recipe for The Fresco, using Prosecco, cucumbers, lime, hot sauce and sea salt. Originally published in Santa Barbara SEASONS on April 19, 2013.